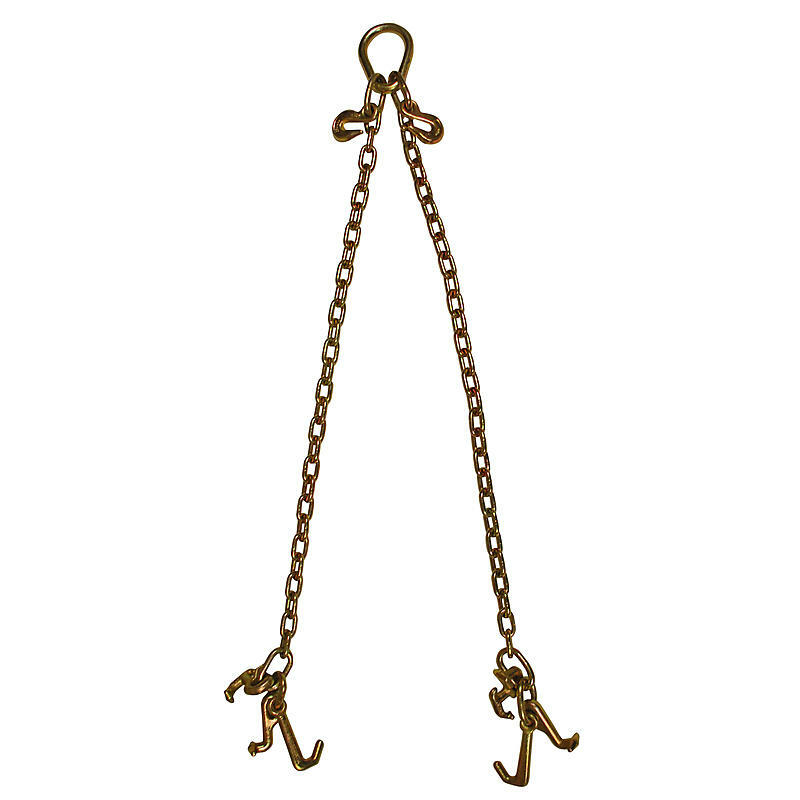 This bridle has 3ft chain extension legs and a master pear ring with grab hooks so you can adjust the length of each leg. The legs have RTJ Cluster Hooks to hook to almost all vehicle frames. All bridles have a tag on them with the safe work load limit.